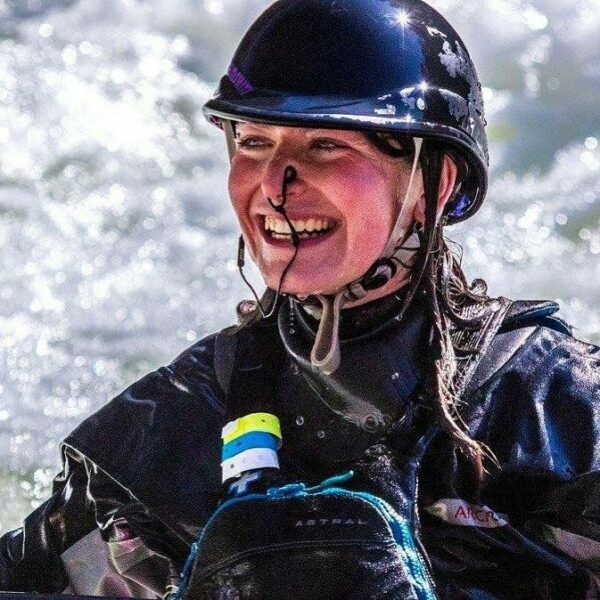 I want to preface by saying that I absolutely think there is a place for a “good” full face in the whitewater kayak market. Some of my thoughts on why you would use one to supplant skill, well, that’s an entirely different conversation altogether and maybe one that we should all have with ourselves. Obviously, this new conversation stems from my last week’s thoughts... which by the way many folks missed my point entirely of how preventable of an accident my whole tooth breaking scenario was. By that I mean, if I had let the boat go, or even better, helped create an environment of safety that was more predictable we would never have had to talk about this. But I digress. The full-face. 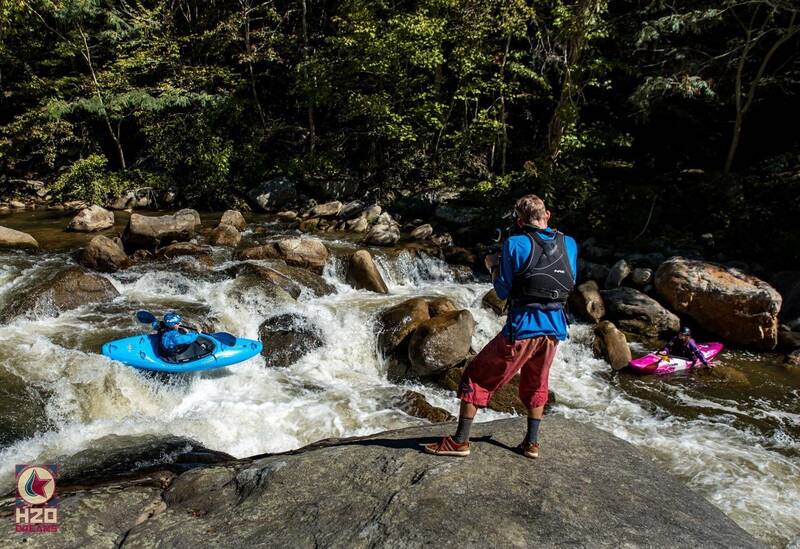 I think our whitewater industry half-baked an idea that is being accomplished at a much greater capacity in other sports. I think our current marketplace continues to sell these terrible products because, well, they’re selling and nobody is demanding anything better. It’s preying on people’s fears and it works. I might also add, it creates a culture of fear within our sport as well. 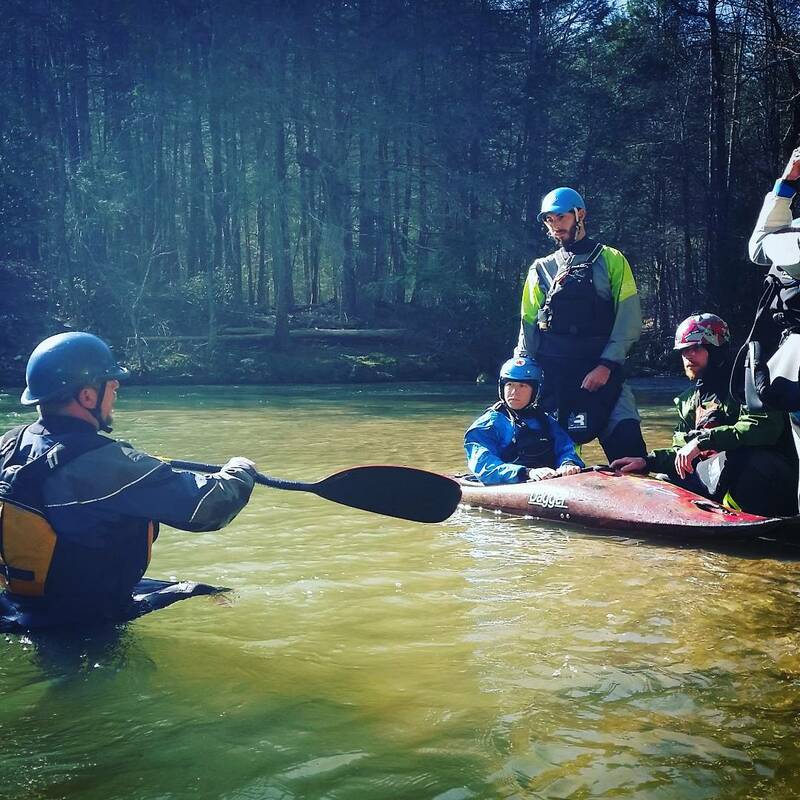 When was the last time you paddled well scared? I don’t have the solution, but I did start doing a bit of research to maybe open up a can of worms and hopefully get us all a better product down the road. I must also state, I do not think our current helmets are the solution and some are downright dangerous. But let’s take a look at a few things I want to note below. Every substantial and permanent full-face helmet in any other sport, aside from football which uses a cage and a different harness, has sideburns. The sideburns are the padding that provides additional padding between your face and the mask. It also helps ensure a better fit overall. I understand that there are challenges with breathing and communicating with a full-face especially in whitewater which is why I have found some of these other designs such as the Fox Proframe above intriguing and it could potentially offer advantages that our current setups do not. 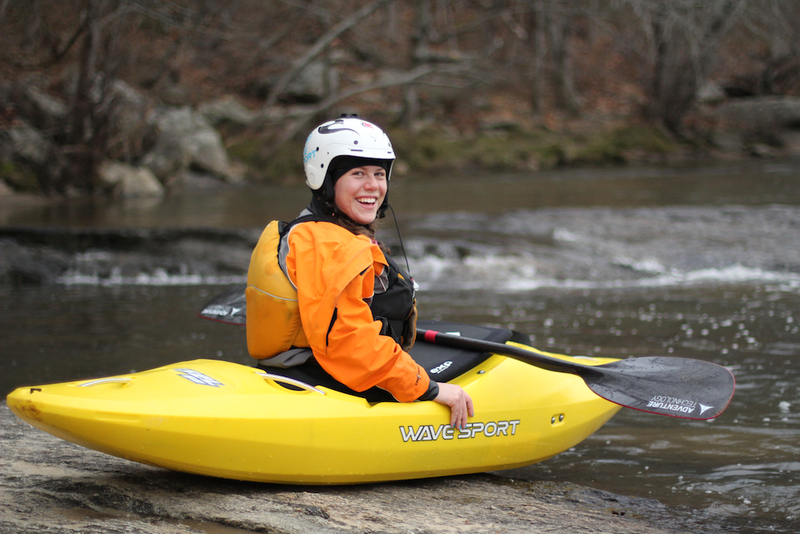 A whitewater full-face needs to include a vertical bar. I hate to say it, the gnar bar is definitely advantageous as paddles, rocks, other people’s bows, all can make it through the large openings in many of the current full face models. A bar will certainly add the additional protection. Could this be optional? Sure…but why are you wearing the full face if you don’t want maximum coverage? 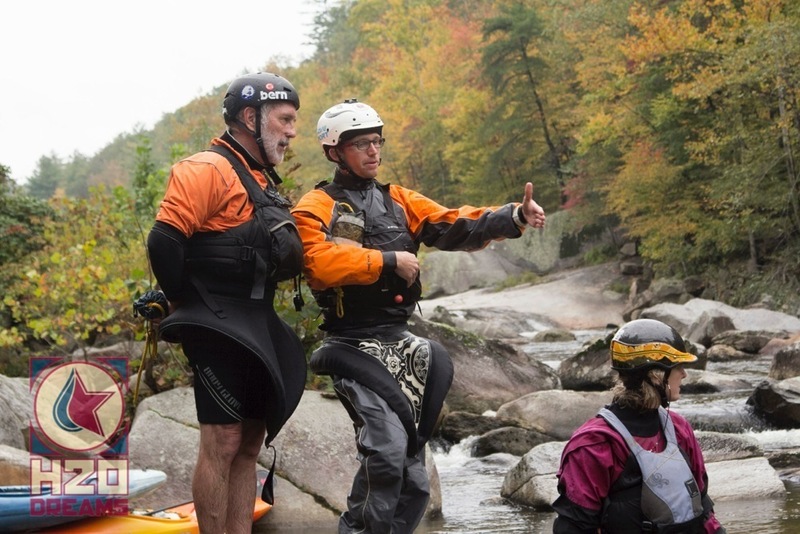 Another harness system should be considered in place of the standard kayak helmet harness. Not only should the harness keep the helmet from riding fore and aft, left and right, but also forward and backward. When pressure is applied to full-face chin/mouth guard, it causes the helmet to roll forward dramatically which in turn causes your face to be exposed. That defeats the purpose of the helmet!! Some of this would be alleviated with the sideburn padding, but additions will need to be made to the chassis to keep the helmet in place. This is all just some food for thought. I don’t have the solution, nor do I have the time to develop one. I currently operate within the philosophy that I maintain a skill level to protect myself. This includes diligence in shallow water rolling. But, as was the case over a week ago, that can go only so far. Finding myself in that position, to begin with, was an avoidable one, and I choose to run whitewater that I can maintain (relative) control over my body to protect myself. Would I consider wearing one if there was an option that met the above criteria, sure. So, what are your thoughts? Would you still wear one of our current options with their clear deficits in design? Do you have a story that could convince me otherwise? I am without a doubt certain that a full-face has saved someone else’s tooth before, but I have also seen catastrophic face damage even with one on. 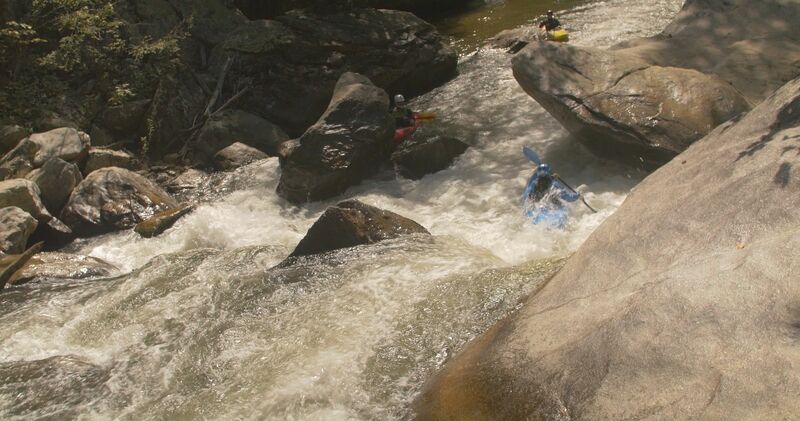 My aspirations are for some soft Creeking like the UG and if my skill-sets allow Wilson Creek…. Full Face helmets in my opinion are for Creekers and still cringe at seeing laps on the Narrows and the grinding that takes place… Without a FF I would well imagine it would leave some War Wounds…. Will interesting to see how the integral design on FF develops especially with input from seasoned paddlers like yourself…. Thanks for the comment Alberto… I agree, I think any meaningful change starts with a grassroots effort. From some who wore hard hats and having to wear a stocking cap to keep it fitted, my concern is one size does not fit all. I have a wrsi medium with all pads in and still wear a stocking cap. The helmet still isn’t snug. I had a shredd ready same thing. I’ve adjusted all the straps and added padding. Granted Ohio doesn’t have a large selection or stores to try helmets on, for a proper fit. According to OSHA, you shouldn’t wear something between harness and head as it always the product to ride up with wear. And yes I know full faces don’t protect your grill, as I was being stern rescued and pulled the yak into my mouth bust my lip. Brian thanks for the comment! I agree, it all comes down to helmet fit in order to keep a helmet in place, first. I do think a few additional chassis items can help to keep the helmet in place. I really enjoy the idea that WRSI came out with in regards to the harness on the back of the helmet that prevents the helmet from rolling back exposing the forehead. I think something similar needs to be thought to prevent the helmet from rolling forward as the current strap setup, padding, etc does not prevent this. In regards to snag hazards. Honestly, anything we wear on the river could potentially snag and I think the full face really does not pose any additional snag hazard. All your points are valid. 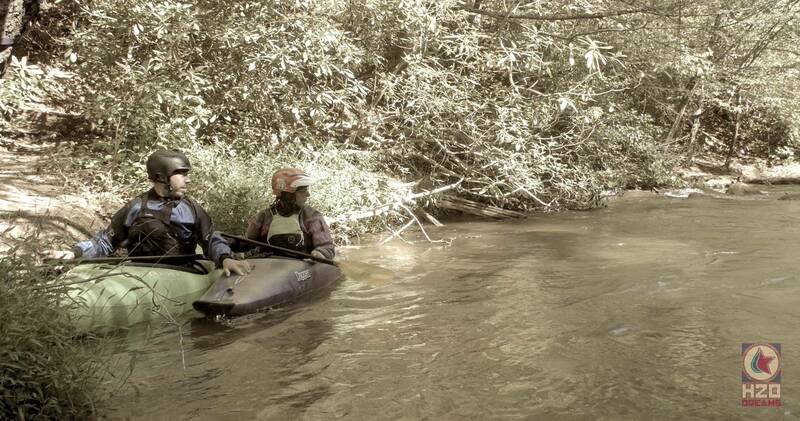 I agree there’s plenty of room for improvement in kayak helmet full face industry. However, my concern is you are offering people yet another excuse not to wear a full face helmet. I have not found any protective disadvantages to wearing a full face helmet. If you’re impacting the face guard hard enough to significantly shift a well fitted helmet up and out of position, that would have been a knock-out punch to the face without it. 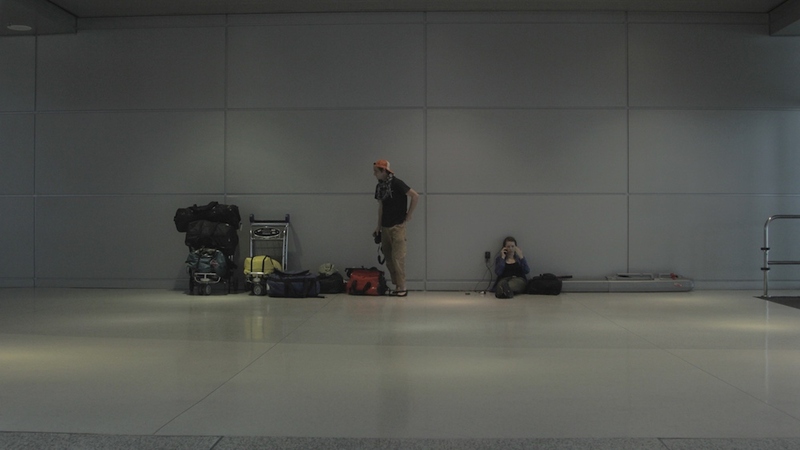 “Safety” concerns, like inhibiting communication, are largely overblown. 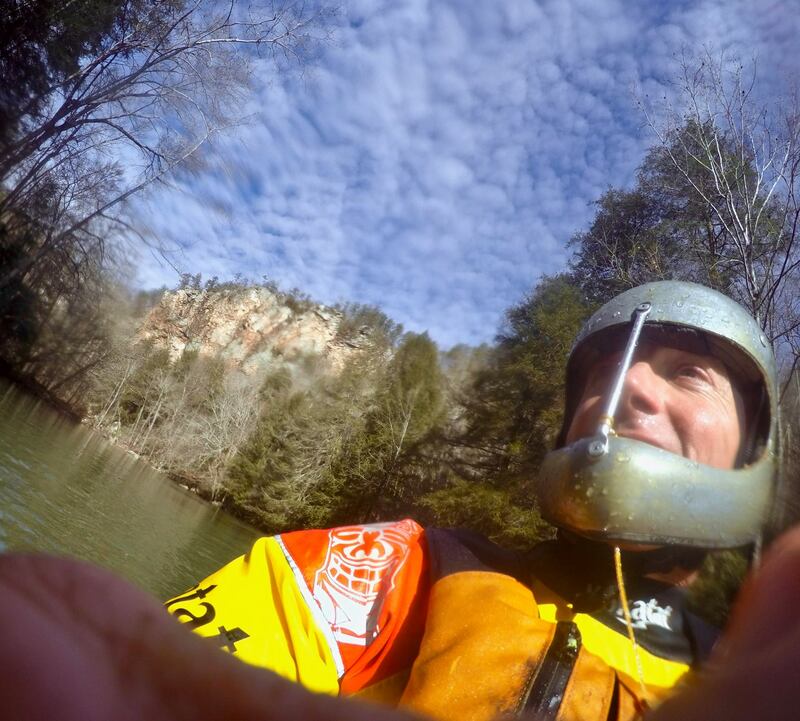 In over a decade of paddling I’ve yet to find a legitimate serious “snag” story. But I’ve witnessed firsthand numerous nasty face impacts. 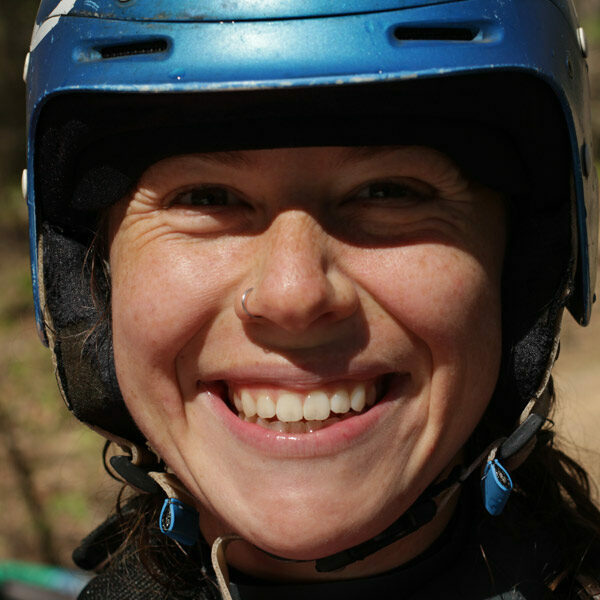 I have two helmets and do not always wear a full face. A non full face has some comfort advantages and if I’m on a run where I deem the chances of me needing the full face protection sufficiently low, I forgo it. Much like we would all be best protected if we wore neck braces and full body armor, we generally don’t because we’re willing to take some additional risk for comfort and convenience. Based on my years of experience I strongly believe that most people make rationalizations about not wearing full face helmets when the underlying issue is one of style. I have even heard some young dudes in the parking lot saying they’re going to put on their full face even though they know it makes them look like a tool (paraphrasing)… And can’t we all picture the club boater over-protected with full face, glasses, armored gloves, elbow pads, going stiff-hipped down a class III run. Thanks, Kevin… I want to first say, I never discourage folks from wearing full faces. I do discourage folks from using equipment improperly, however. The fit and focus of our current setups are half-baked and do not keep the helmet in place. Additionally, if the mouth guard breaks it poses an additional hazard. My choice for not wearing one is preference, but stems from teaching. I do not present a very reassuring environment when I teach a student while wearing a full-face. There are communication issues with them, but they can be overcome by slowing down. Mostly, it’s presentation. Why I choose to not wear one personally is that I choose to wear a mouth guard instead which does not move, protects the grill, also makes communication funny, but is extremely cost effective. I know many boaters that wear mouth guards effectively. 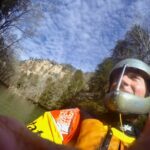 I also have to add that having the Green River in my back yard, I am surprised at the number of flips that don’t result in catastrophic damage without use of a full face as opposed to the number of incidents I hear of on say the Ocoee, while wearing full faces. I do think that is a testament to skill, honesty with oneself, and how you can protect the important parts without additional equipment distractions. One final note. Our helmets are not currently certified for anything more than class IV. That’s either just because of some legal jargon, or that’s really disappointing. As an alternative, how many kayakers actually use a mouthguard, and how effective is it? 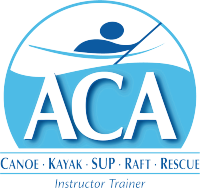 As a second alternative, I saw a kayaker using a lacrosse helmet with the cage in front. Any thoughts on using one of those as a full face kayak helmet? I know a number of folks that use mouthguards on the Green River. I ironically was not wearing mine that day which I think would have saved my tooth for sure. I think they’re effective in addition to good judgment, skill, and awareness. I have so many thoughts on this topic but will stick mostly to replying to Shawn’s query about the use of a lacrosse helmet. I don’t use an official lacrosse helmet but instead, a Predator full cut with a “real” whitewater cage attached to it that I purchased at MEC (a Canadian outdoors retailer much like REI) years ago. 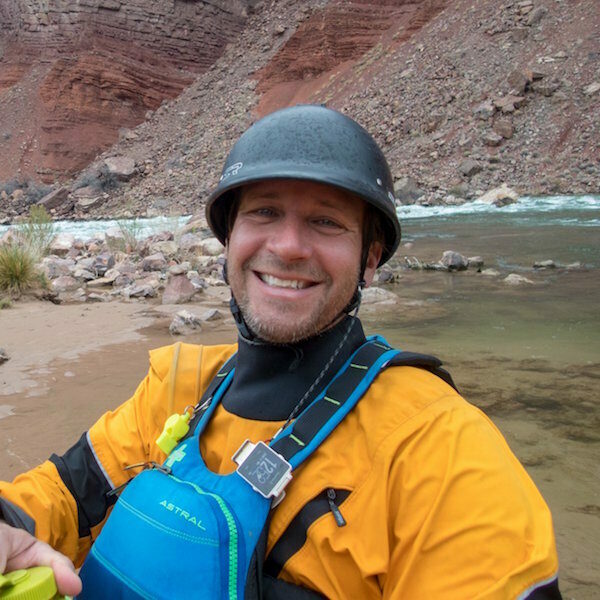 Although I’m well known on the river for my unconventional rig, I don’t mind at all, because over 10 years of paddling a variety of rivers in Canada and the U.S., I’ve thankfully avoided any facial injury and have gone through some sketchy situations in that period. I’ve also known of at least 7 people over those years that have had to have reconstructive dental work done due to flipping over in shallow, rocky creeks. While some of them were over their heads, to be sure, some of them were very competent paddlers but none were wearing a full face. Yup, matching your skill level to your paddling ability and the rivers you choose to paddle should certainly be priority number one but as much as I hate the word, “accidents” do happen and I’d rather have some kind of additional protection when it hits the fan. 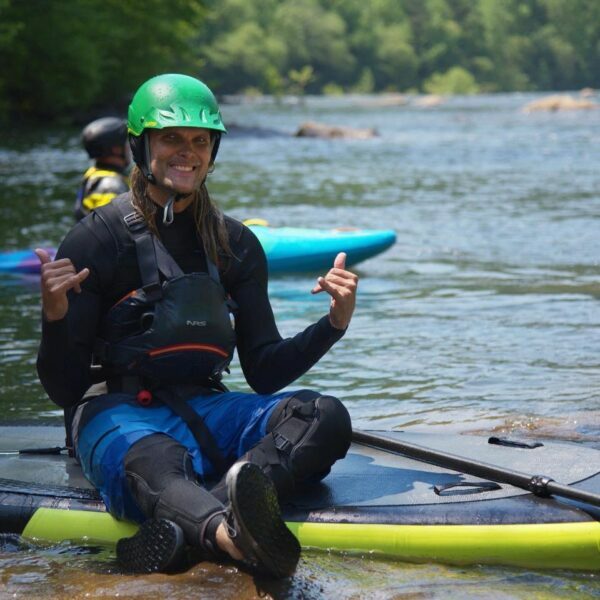 And though gear should never be a substitute or panacea for experience, we all know paddling is a mental game and if I’m stepping it up a bit, having a full face on helps give me the confidence that in turn helps my actual performance. Just my opinion. With all due respect, I have to disagree with you on your full face thoughts. 1. 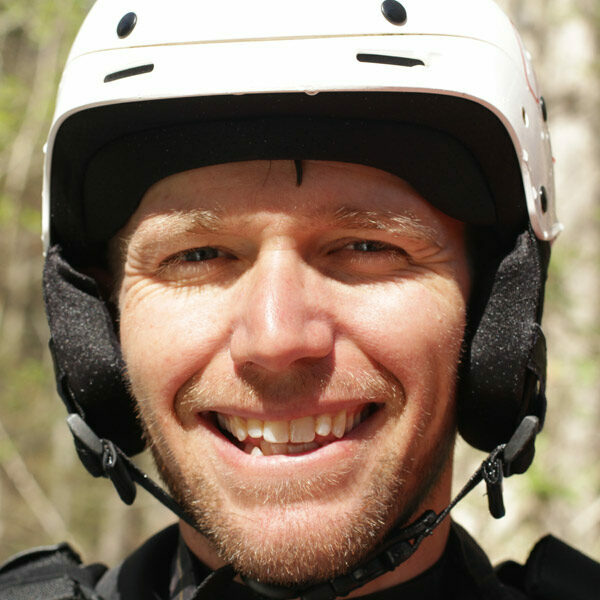 Companies like Sweet and WRSI have actually put considerable time and money into researching what is needed in helmets. Want more research? Are you/is anyone willing to pay more than what the price is of a full face helmet currently retails for? And why so expensive? Because our market is so small. And often kayakers want to short-cut paying full value of a product, therefore devaluing the product. For 90% of boaters, a full face helmet is not really even necessary if they learn to tuck, learn to roll, learn to not tip over…. And in some cases, a full face helmet can be a detriment if something gets caught. On top of that, it is difficult to hear someone wearing a full face, so communication on a river is downgraded. Are there some very good reasons why someone might choose to wear a full face. Of course. Those reasons might include: 1. paddling low volume, Class IV-V. 2. If they have had any kind of dental/face reconstruction. 3. If having the additional protection makes someone feel better about participating in a sport with inherent risk. But wearing a full face does not take the place of learning the skills necessary to paddle. I couldn’t find any conclusive research that either company has put into their helmets. I tried to find it. Sweet does put up some very vague literature on their website and I was sad to discover their helmets are only rated to class IV! As a consumer, that’s something I really would like to know before I buy! That said, I think currently from personal experience they provide the safest helmet on the market. Everything else you said is spot on! I actually said those things in my article above as well. Equipment is indeed not a replacement for skill. But, we wear safety equipment anyhow because of the “just in case.” We would never tell anybody not to wear a helmet if they have the proper skill in place. My argument is simply that the current full-face options are terribly under constructed and in many documented instances have not provided the protection they are advertised to provide. I do realize that you are a purveyor of said products and it is necessary for you to back up the equipment in which you sell. It’s important as a retailer to provide the necessary education for a properly fitting helmet which you do, but the current manufacturers don’t provide a reasonable option in my eyes. I think safety research is worth the investment. And I certainly think the paddling public does too. We as an industry need to provide the transparency of why a product is superior instead of using marketing that preys on our guest’s fears. great discussion. I was definitely among the early full face paddlers in Eastern Canada. I was also switched to a full cage helmet for playing hockey long before that was the norm too. Has my ff saved my face, yes (during whitewater freestyle no less). Am i concerned about snagging it on something… yes. Weigh the pros and cons. But my final decision came down to get the best helmet there is, might not prevent a concussion/face injury but at least I won’t be wishing I had bought the best in hindsight. I wear a Sweets helmet. There are so many boaters around that wish Sweet, WRSI, Head Trip and other helmet manufactures would offer a simple bolt on face cage for both half cut and full face designs. They don’t have to undertake a major redesign of their helmets to offer this accessory. Every group I’ve paddled with has boaters who just happened to invert at the wrong spot allowing a protruding branch or rock to cause facial injuries. In at least two cases, the injured person was already wearing a full face but the opening was so large it allowed contact with a protruding hazard. In these cases, like yours, a bolt on cage would have helped tremendously. The few boaters who use lacrosse half cut helmets with face cages have not had any issues at all that I am aware of. They really enjoy the design of the helmets since the thin cage allows them to still speak and hear very well. This of course is very important on the water. 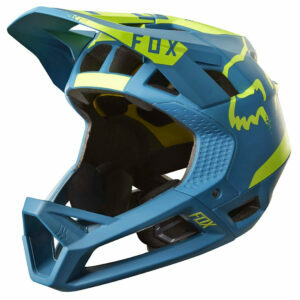 This is in contrast to the heavily padded fullface helmets that are offered to whitewater boaters. John was just complaining about how his full face makes it impossible to hear anything. He does not like wearing it because it reduces his awareness on the river. Thanks for a thoughtful article, which illicited many cogent responses. I wear a helmet to ski, bike, rollerblade, and of course, paddle. The last few years I have been SUPing on easy rivers, and the thought of a full face occurs to me each time. Perhaps we can get the much larger SUP industry interested and involved. They have their own issues with pfd resistance, and the niche market of WW SUPers may not appear a worthy investment, but who knows? Thanks for a thoughtful article, which elicited many cogent responses. I wear a helmet to ski, bike, rollerblade, and of course, paddle. The last few years I have been SUPing on easy rivers, and the thought of a full face occurs to me each time. Perhaps we can get the much larger SUP industry interested and involved. They have their own issues with pfd resistance, and the niche market of WW SUPers may not appear a worthy investment, but who knows?